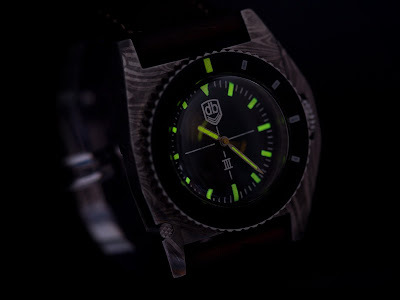 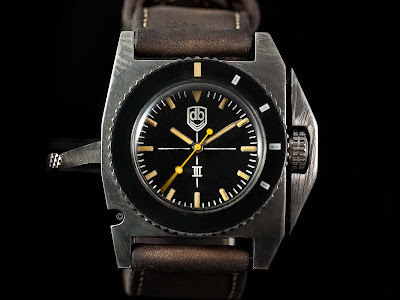 By TLex VDB's technical diver; the VDB III gets the DAMASCUS Steel treatment! 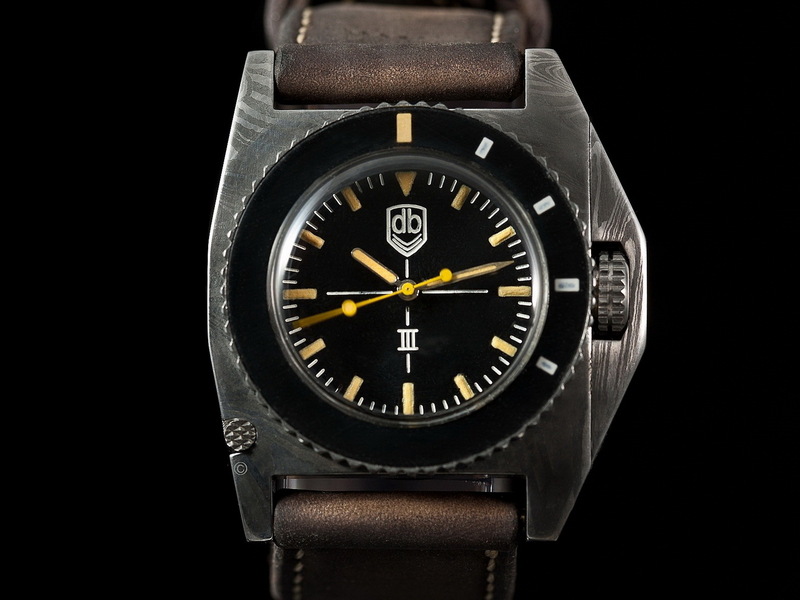 The special steel used for the watch case takes its name from a medieval type of steel used in ancient sword making! 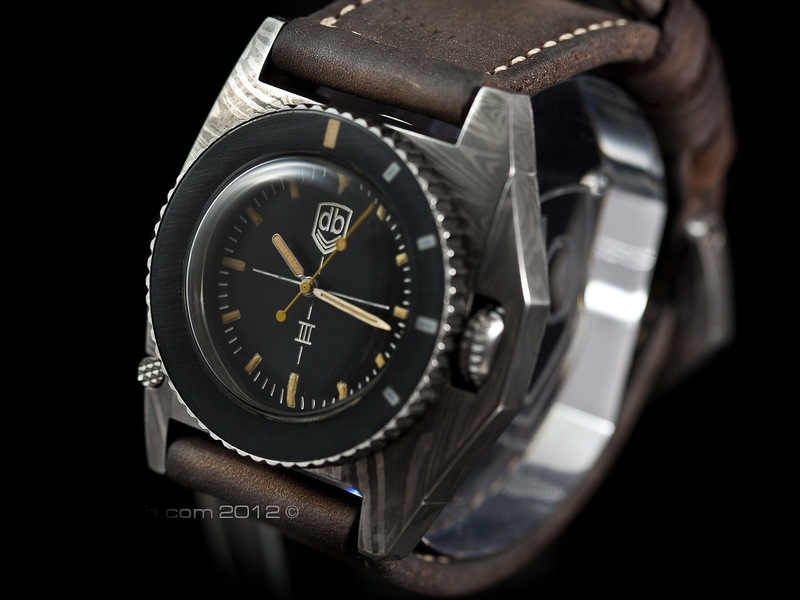 The watch features a specialized mechanism that pulls down to fully close its crown guard. 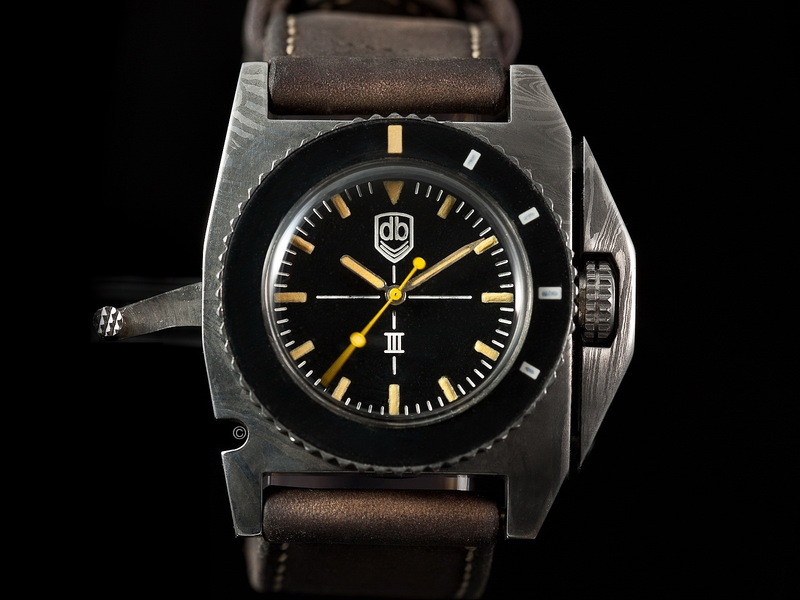 The lever with its knurled handle extends out like an arm and tucks neatly away when in locked mode. 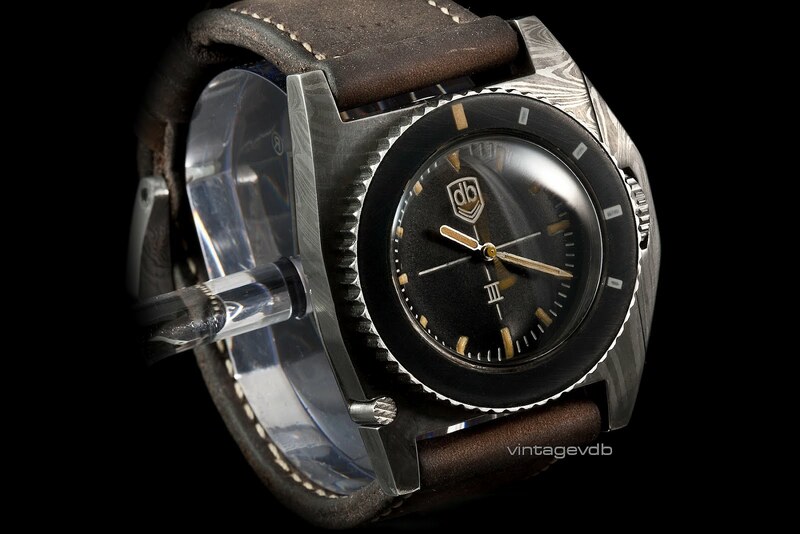 For further details contact Vintage VDB or follow the logo below . . .